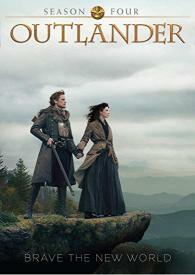 Season Four of Outlander continues the story of time-traveling 20th century doctor Claire Fraser and her 18th century Highlander husband Jamie Fraser as they try to make a home for themselves in colonial America. We find the Frasers in North Carolina, in a place called Fraser’s Ridge at yet another turning point in history – the cusp of the American Revolution. As Claire and Jamie build their life together in the rough and dangerous backcountry of North Carolina, they must negotiate a tenuous loyalty to the current British ruling class, despite Claire’s knowledge of the bloody rebellion to come.